Looking for the perfect laid back color palette? 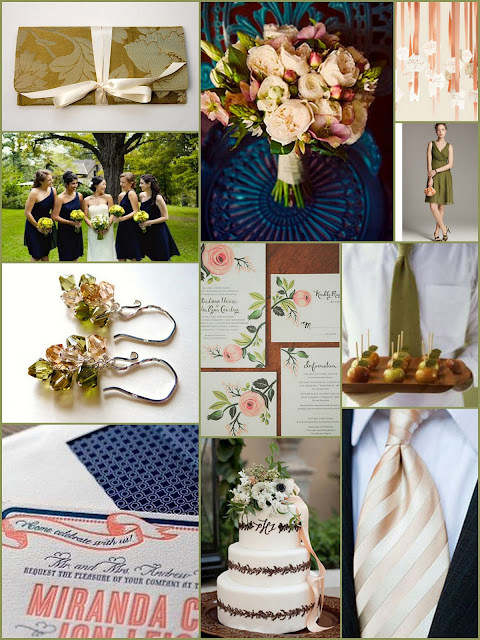 We love the combination of peach, navy, and olive! It's charming and rustic, perfect for your laid back barn or garden wedding. Navy and peach tend to remind us of a preppy nautical theme but when you throw in the moss or olive green accents, it changes the look completely to give it a natural and vintage foresty feel!